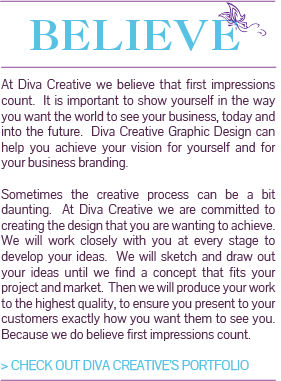 Diva Creative is a new and exciting graphic design studio located in Toowoomba. Diva Creative believes in creating high quality designs, by focussing on attention to detail and working closely with clients, to provide speciality design solutions. Diva Creative also believes that presentation is everything. We want to help you achieve the look you need to succeed! 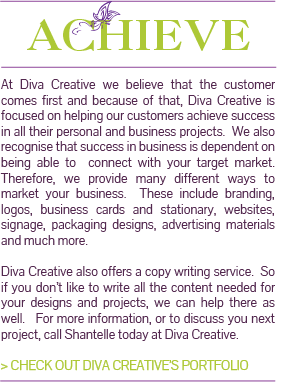 Diva Creative specialises in graphic design for logo, branding, web design, print materials, event promotion materials and your copy writing needs. Diva Creative is also now offering Photography as part of their Graphic Design services.